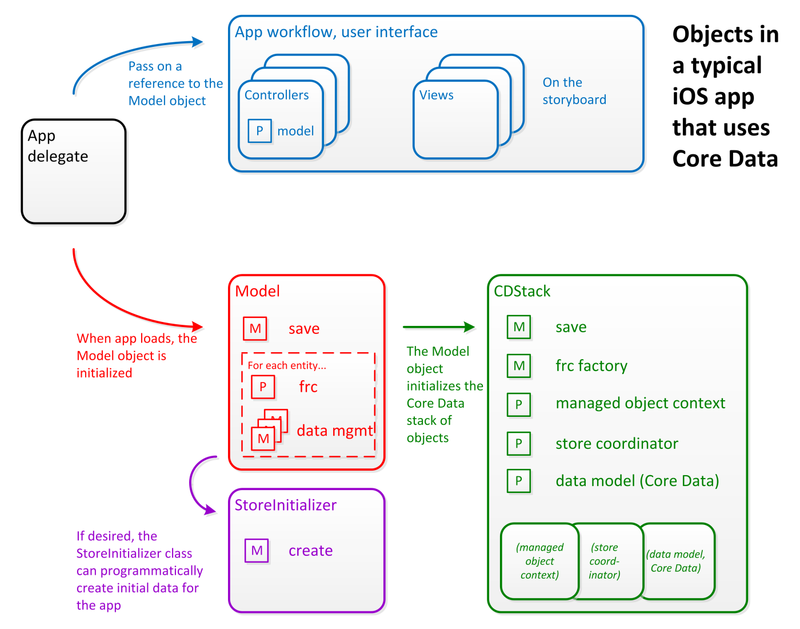 Introduction to Core Data technologies. 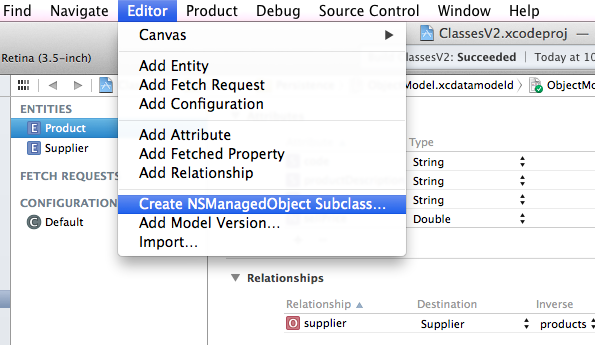 In the course GitHub repository, in the Project_Templates folder, you will see a project named ClassesV2. The README file in the ClassesV2 project helps you do this. What’s in the “ClassesV2” project template? The project template includes the Core Data ‘stack’, which provides the necessary objects and a factory/builder. 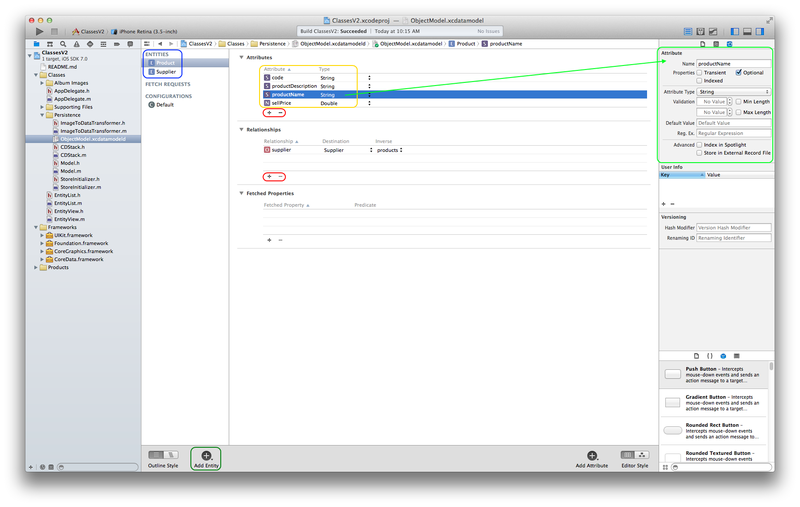 And it has a table view controller, and a view controller, which can use Core Data objects. 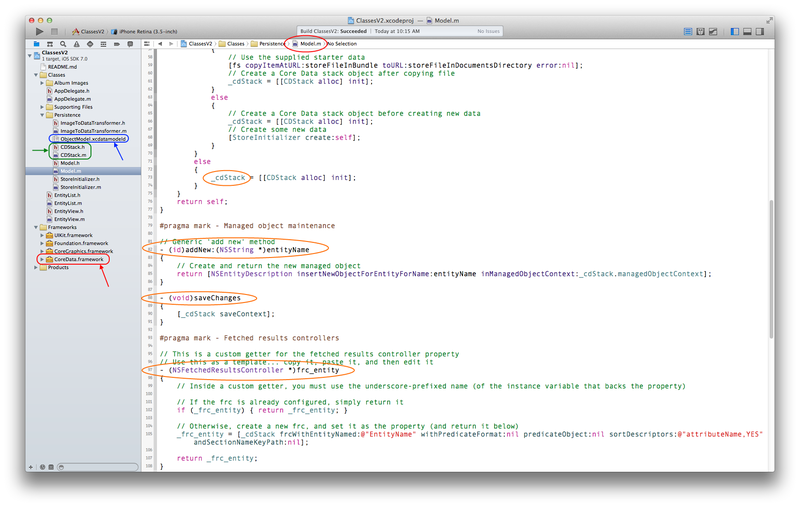 // Xcode code sense will show you the “description” method, so you cannot use it for an attribute name! Fetch: Get all, or get one, or get some filtered, or get value. Done with a “fetch request”, introduced below. The data format of the store file is private, and is unimportant to us. You should attempt to re-create this example, using your own copy of the ClassesV2 template. Strongly recommended.